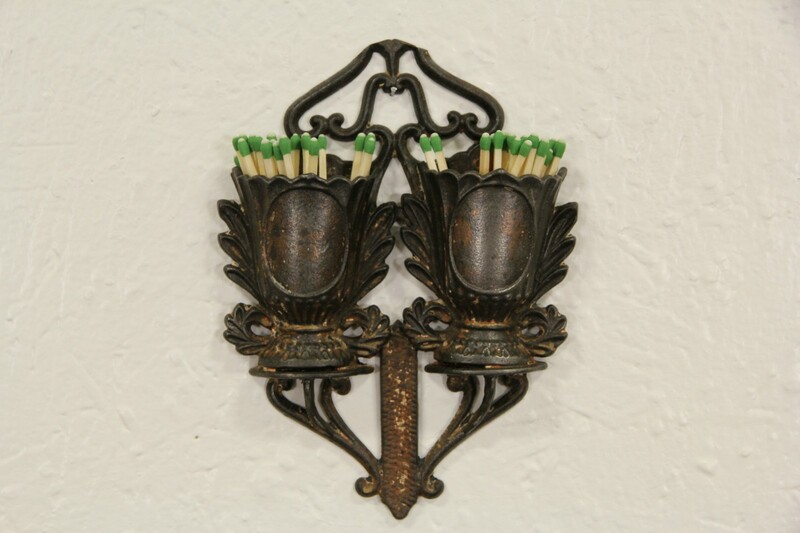 A double vase kitchen match holder is cast iron, embossed on the back side, "Pat. Jan. 15, 1867." There are traces of a worn gilt finish on this American made antique, which has a striker on the front. Size is 5" wide, 7" tall and 1" deep.